The Boileroom in Stokefields is home to Kick Back Comedy, which books the best comedians from the UK and the local scene, including well-known faces from TV and live stand up – including Live at The Apollo in London. All of the shows feature four comedians supported the group’s own compère, Debra-Jane Applby. 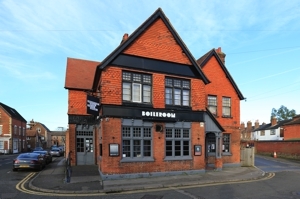 Gigs at the Boileroom are held on the the first Saturday of every month with doors opening at 7.30 and the show starting at 8pm. Guests must be at least 18 to attend. The Hellfire Comedy Club combines some of the best emerging and established comedy talent in the UK with G Live’s excellent catering facilities. 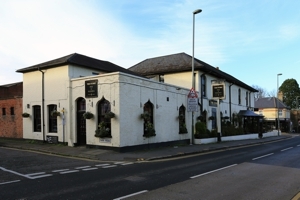 Each month the venue presents events, such as ‘Curry and Comedy’, which includes dinner – a typical Indian curry – along with a drink and, of course, the comedy show. The curries vary each time and always incorporate a Vegetarian option, as well as rice and naan to accompany your mains. The performances are normally staged in smaller rooms, ensuring a lively and intimate atmosphere. Doors open at 6.30pm and food is served from 7pm for the 8pm shows. Held in the Cafe Bar at the Electric Theatre, the Comedy Club is a cabaret style event with the bar open all night and at least four different acts presented each month. Past acts have included well-known comedians such as Rob Rouse – Winner of Channel 4’s ‘So You Think You’re Funny’ – and the Canadian political comic, Dylan Rhymer. Tickets can be booked in advance or purchased on the door, although they are cheaper if you buy them in advance. 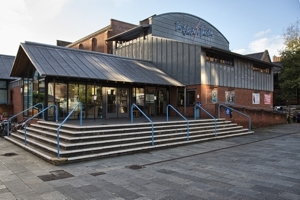 Shows are suitable for ages 16 and upwards, making it a suitable venue for younger fans of comedy. You Must Be Stoking claims to present the finest stand-ups, hand-picked for Guildford comedy-goers. 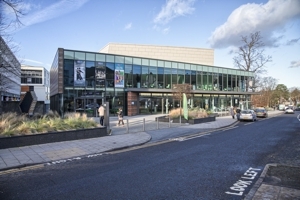 The venue offers both food and drink in addition to entertainment, so a visit can easily become a full evening out. Car parking is ample and is located on-site, making the venue even more attractive. The comedy is varied and has featured comedians with successes on stage and TV, including tour appearances with the famous Jimmy Carr from 8 out of 10 cats and Have I Got News For You. Located in the Stoke Pub & Pizzeria, the venue serves a great selection of delicious pizzas, pasta dishes, salads and sharing platters. Performances are on the first Wednesday of every month with doors opening at 7:30pm and the show starting at 8pm.